Can you imagine a beautiful sports field, grass or any artificial compound, a thick layer of snow and a day of games scheduled? A slippery sports field in the winter can be a huge risk for injuries. IceMelz eco is the right and sufficient solution to slipperiness, safe for the sportsman and sportswoman and non damaging to the grass or artificial compound. If you would use an ordinary road salt to treat the sports field, it will immediately have a damaging effect on your grass (or artificial compound) and the flooring of your locker rooms will get stained for ever! 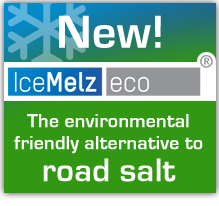 That’s why: use IceMelz eco during the winter months to protect your sports grounds and your sportsman and woman!